Well, nothing surprising. But I always think about this every time I buy something there. oh goodness... and we eat that sorta stuff ?! and than u ask your self:why I'm so fat? WAR TO FAST FOOD!!!! 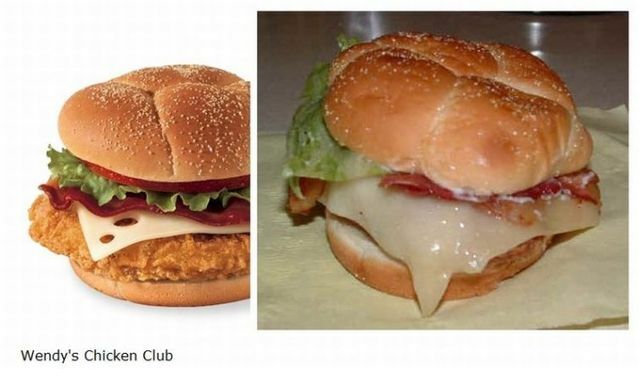 The cheese on the wendy's chicken club looks like snot. All the food in here looks really disgusting. Thanks for your advice dude! I can't help but be reminded of the celebrities/celebrities without make-up comparisons in the tabloids. Sure, they don't look as good, but at least get some reasonable pics. Blurry and badly lit doesn't help make a comparison. 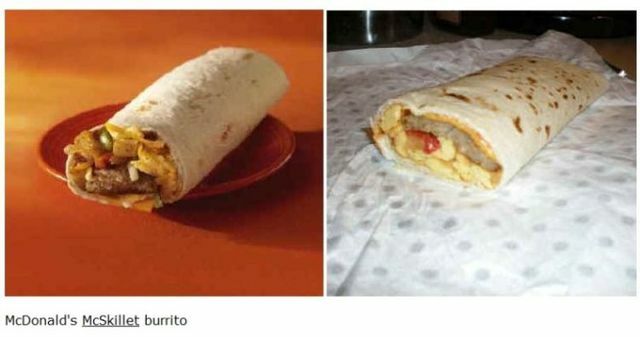 Next time demand that you get the food as pictured on the menu or will sue them for false advertising. If you don't mind eating a little spit though. Why don't I ever get that much chicken in my KFC famous bowl?